The GakkenFlex 35mm Twin Lens Reflex (TLR) is a DIY journey and it would be a very interesting and exciting (and sometimes stressful) adventure for photography enthusiasts ! The manual is inside a segment of the magazine issue and there is also a link of the manual in pdf file online here. The entire manual is in Japanese Language and for a person not versed in Japanese Language, it can be really challenging, stressful and fun at times. Nevertheless, the diagrams are well drawn for you to begin your GakkenFlex transformation. Let me bring you through the journey of constructing and transforming the GakkenFlex. You might take a short time (1 hour) and complete the GakkenFlex or you might slowly construct and enjoy the overall transformation process (3 hours). When you opened up your box, it’s all wrapped up nicely and placed in their respective spaces. Tip : Some parts are very small, be careful not to lose them. Tip : Don’t screw the bolts/nuts too tightly and deeply, you would need some slack to open up the different plates and push in other plates and components. There are 7 major points/steps in constructing the GakkenFlex and in each major points/step, there are smaller sub-points/steps for you to build up a part of the GakkenFlex 35mm TLR. Tip : I can’t read Japanese characters (not trained in the language), however, look at the components/parts listed inside the steps/points and match it exactly to the list of components/parts picture on the 1st page. Some of the steps are relatively easy just by looking at the diagrams and I have taken photographs of each step and construction of the GakkenFlex for your reference. Therefore, I would be concentrating on the slightly more tricky/difficult steps that you might face in the construction. 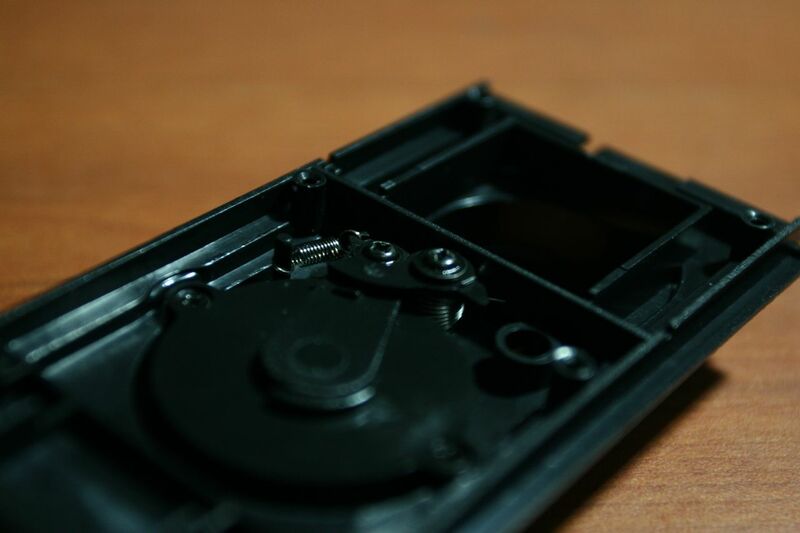 Tip : This step is quite tricky with the springs to be attached and screwed together. Do be careful with it. Step 3 – 2 : Attaching the spring バネ B to a small component board シャッター板 , take extra note here, follow the tips inside the manual. (1) Attach the end of the small component board to the spring 1st. (2) Holding the 2 small pieces in (1) together, put down and hook the end of the spring into the body side plate. (3) Once the spring is in position on the other end, push the small component board down into the holder as shown in the manual. 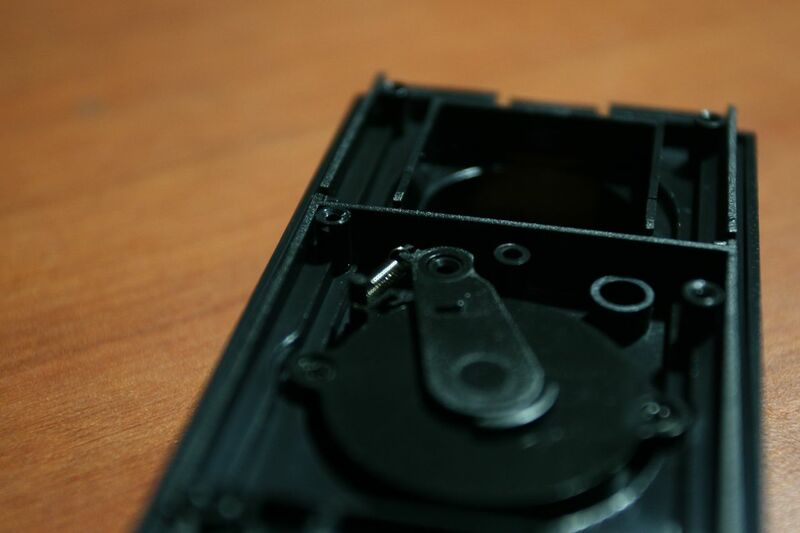 Step 3 – 3 : Attaching the springバネ C to another small component シャッター板送り. Once the 2 components in place, screw in first and leave a 1mm space in between screw and base of the small component. Turn the small component anti-clockwise as shown in the diagram, until the orientation is exactly like the photo in the manual. 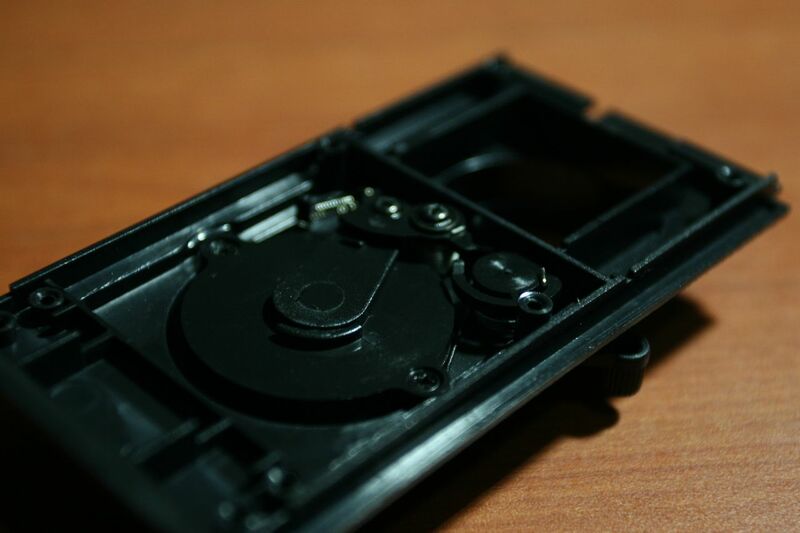 Step 3 – 4 : Attaching the spring バネ D to シャッター レバー軸 . Hook up the end of the spring first and turn シャッター レバー軸 clockwise until the orientation is exactly like the photo in the manual. Take the bolt ツバ付ネシ and screw the シャッターレ バー into position with the spring バネ D and シャッター レバー軸 . Step 3 -5 : Once Step 3 – 3 and 3 – 4 are completed, it should look like the photo in the manual. Step 5 – 1 : For the middle bolt, do not screw in too tightly and deep down, leave it some space for the Left and Right Body Plates to push in and become “locked in”. 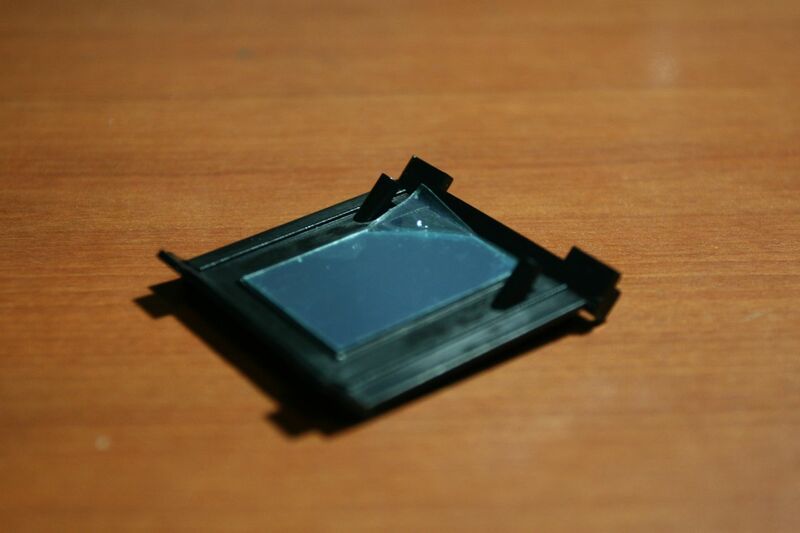 Step 5 – 2 : The mirror and double sided tape, it can be confusing here. Don’t worry, peel of 1 side of the mirror (leave the other sticker on the mirror on), peel off 1 side of the double sided tape and paste it on the mirror. Once that is done, peel off the other side of the double sided tape and paste the mirror onミラー固定板 . Keep the sticker on the mirror on it first, do not remove. Step 5 – 3 : Remove the other sticker on the mirror at this stage. These are the following steps during the overall construction that I faced difficulties, challenges and stress, overall, the experience in constructing and transforming the GakkenFlex 35mm TLR is awesome ! I was very grateful to this photographer on Flickr, who shared and posted the steps in constructing his GakkenFlex (in photographs on Flickr) and it really helped me a lot ! 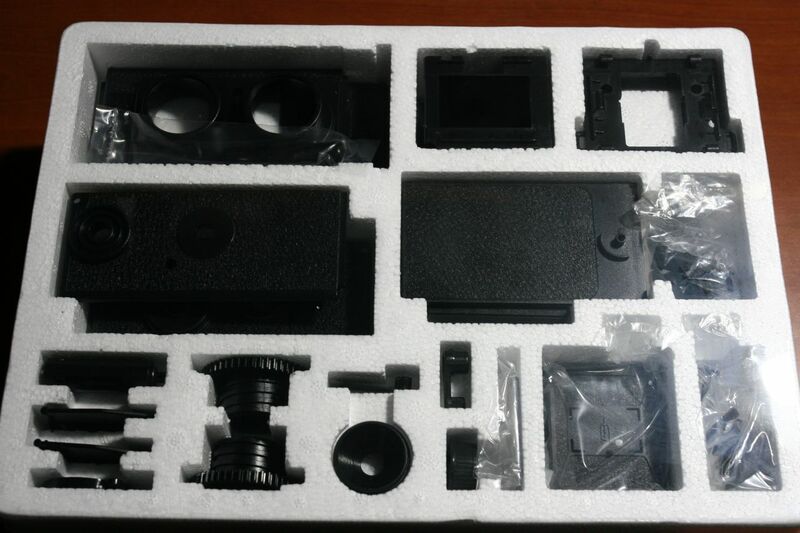 Finally, the GakkenFlex 35mm TLR is transformed !! It was a great adventure for me and I hope that my sharing and photographs would help you in the construction. Have fun shooting ! 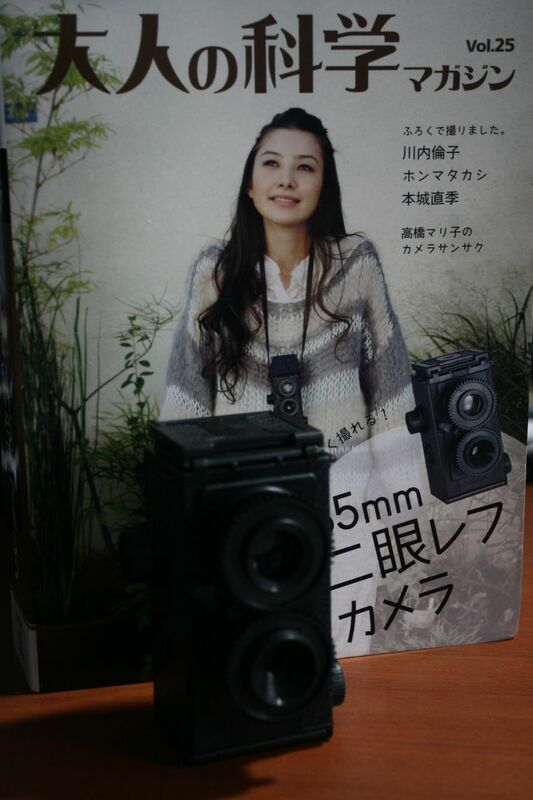 A New Toy – GakkenFlex 35mm TLR !